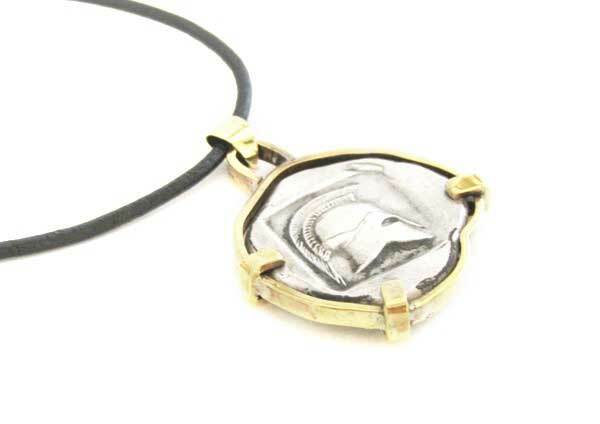 A silver coin pendant, framed with solid bronze. 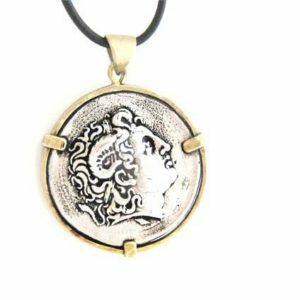 A silver coin pendant, framed with solid bronze. 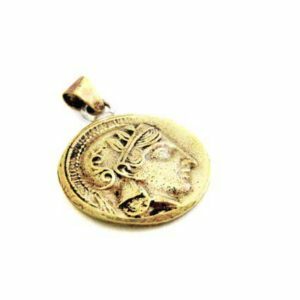 This different coin is a replica of an ancient Thiva’s coin, between 3rd and 4th century B.C. The coin depicts on one side, a bunch of grapes, in honor of God Dionysus, and on the other side, the soldier’s helmet, in honor of the Sacred Band of Thiva. The coin is approx. 26mm high x 30mm wide. 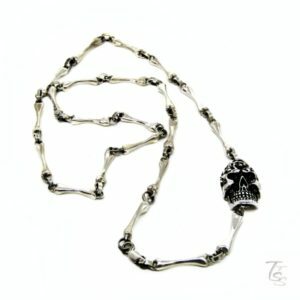 A cool, fashionable necklace to highlight your daily outfit. 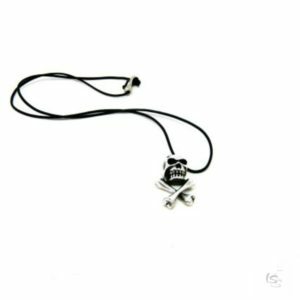 Your pendant will arrive with real leather string and a secure clasp ( the leather string is easily adjustable), in a gift box. You will also receive care instructions and a polishing cloth for silver, to keep your jewel new for a long time.